I have never considered myself a creative person. My singing makes dogs howl, my dancing is enthusiastic but woefully lacking in rhythm and my drawing skills are so bad that being put on a team with me in Pictionary is seen as a punishment. I can’t sew or bake or paint or do crafts or play a musical instrument. I could carry on but I imagine you’re getting the picture. One thing I have always done, however, is write. I don’t think I ever really considered writing to be creative and until about two years ago I had never listed it as a ‘hobby or interest’ (meaning my list consisted of socialising, reading and walking. I dreaded that interview question!). To me, writing was as natural as breathing and is simply a part of my life. As a child I loved writing stories or even just writing about things I’d been doing. I started keeping diaries and loved sending letters to people, writing long messages in birthday cards and jotting down my thoughts and feelings. I became notorious for my soppy cards and I began to write poetry. I’ve never really shared my poetry with anyone other than friends or family but a lot of my close friends and boyfriends have received poems from me as ‘gifts’. I’ve always felt that to process any ‘big’ feelings I needed to write them down. It was my therapy, my outlet and entirely necessary for my sanity! During my pregnancy I would write poems to my unborn child or to my husband, I would reflect on the ways my body was changing and how I felt. I wrote about situations I found uncomfortable or difficult; for example I found being pregnant at a funeral something my philosophical brain couldn’t cope with and writing about it helped to order my thoughts. My family had given me a pregnancy journal which I loved filling in; I hope I can look back on it with my boy and tell him about how excited I was to meet him but how pregnancy can make you feel pretty shite! And then, boom, my world is turned upside down when the baby boy arrives. I don’t think I wrote much in those first few weeks but I soon started writing little memories and feelings down again (usually in notes on my phone while I fed the bubba!). I then discovered the wonderful world of parent blogs! I read so many blogs during night feeds and it really made me feel less alone, it helped me to make sense of all the new situations I was faced with and, crucially, it gave me the idea to start my own blog. I had actually, once upon a time, intended to start a blog about feminism but it never quite materialised. I think the problem I had with starting a feminist blog was that occasionally there would be multiple issues I wanted to write about but other times there wouldn’t be anything at all. I worried that I would start it and then go months without writing anything. The beauty of blogging about my baby and family life is that there is always material! But I celebrate this. I am proud of you and myself, too. And you, my boy, are my whole heart, happiness, love. In blogging I have discovered new friends and found a creative outlet that I am happy to share with people. It helps me to feel as though there is more to me than just my role as a mother and wife; I’m still a person in my own right with my own interests (although is it ironic that I’m writing about being a mum?!). 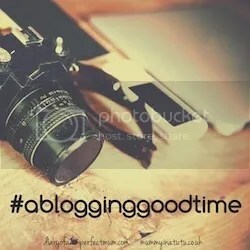 It was scary publishing that first blog and wondering if anybody would read it but I had such positive reactions and soon became engrossed with the blogging community. Everybody was so encouraging and friendly that it inspired me to aim a little higher and blog regularly. Most of my posts are a light hearted look on our family life and how we are coping (or not!) as new parents. I have written a few heartfelt, personal posts that made me feel as though I was baring a little bit of my soul but they were the ones which basically wrote themselves – I felt I had to publish them. I’ve always received good feedback and support; luckily I haven’t been faced with any trolls so far! Being a mother has made me want to create more, to feel more in tune with myself as a singular being rather than part of the family. I have had so much joy from getting involved with the blogging community and focussing on myself a little each day has (I hope) made me a better mother! Ellen blogs at Babies, Biscuits and Booze. You can also find her on Twitter and Instagram. < Previous I’m Going to #BML16 – A Blogging Bonanza! I love the poem, it’s so beautiful the way you juxtapose the fear during the birth, and the love you felt for your baby 🙂 Very interesting to hear about you’ve always journalled to process your thoughts and feelings, I do the same. i don’t think I’d have my sanity if it weren’t for writing! Aah Ed…that’s such a beautiful poem. You must keep all your notebooks for your boy to keep when he’s all grown up – it’s a very precious gift that you have to give.